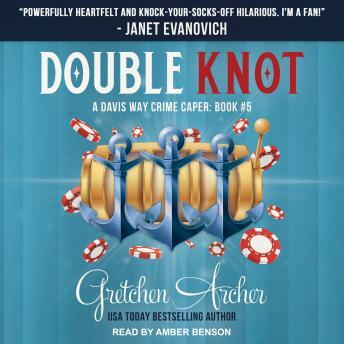 Super spy Davis Way sets sail on a Caribbean cruise aboard the MS Probability with fifty billionaires, a boatload of Louis Vuitton luggage, Anderson Cooper, and her mother. (Her mother?) The weather is perfect, the seas are calm, and Suite 704 is spectacular. Until the door slams shut. For good. Obviously, it's a system glitch. Surely someone will show up to free Davis, Miss Hawaii, and the creepy staff. But when the minutes turn to hours and the hours stretch into a day, Davis knows it's up to her. With $50,000 in casino chips, a pot roast, and a crash course in banking, she races against the clock to determine why they're being held, stop the people behind it, and find a way out. Secrets are revealed, antiquities are destroyed, and they're running out of dishes. It's mayday on Probability when Davis Way realizes that only the truth will set her free.